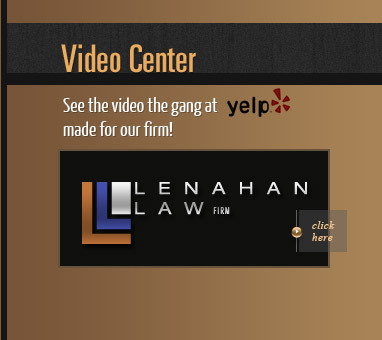 The Lenahan Law Firm is unique, and operates far differently than most law firms representing victims in oil rig accidents and other serious injury cases. First, no matter where you are, we will come to you. We represent injured victims and families across the nation who have been injured on the oil fields or on big rigs. For years we have represented clients from all over the world injured in Texas or North Dakota. Location doesn't matter – it is the person, the family, the case and the determination we have to achieve justice. Call us so we can arrange to come to you. We are different from other law firms. We come to you. Another important difference in how our firm operates is that we limit the number of cases we take on. In fact, most law firms have 100 or more clients for each lawyer that they get through carefully planned advertising campaigns. At our firm, we take on only about 40 cases at a time – about 10 cases per attorney. This allows us to focus our energy and attention on getting results – and we are recognized for our achievements in oil rig accident cases. The injuries sustained in an oil rig accident are often life-changing, permanent or fatal. The injured and the family are thrown into turmoil dealing with the consequences. Seeking justice from an oil company can be fraught with frustration and soon, utter disbelief – the oil company will fight a serious injury claim, calling upon big-name injury defense law firms to challenge the facts and attempt to avoid having to pay out what is fair to the injured or the family. An injured person who has worked hard, been an trusted employee, and dedicated years of his or her life to the company is now left to struggle with the consequences with little to no help or hope. That is where our firm comes in. These companies may have between 3 – 20 lawyers involved in defending against a legitimate injury claim or lawsuit. At our firm, we have achieved many notable victories for the injured in the states of Florida, Michigan, New Mexico, Pennsylvania, Virginia, and of course, Texas, where our offices are located. We have also represented victims in China, France, Mexico and England as well. We are unique in that we act as counsel in oil field accident cases that took place far from our headquarters in the Dallas area. Our personal injury lawyers are highly professional, and we work together as a team on every case we take on. The legal team we bring to your case has unusual qualifications, and includes one of the best reviewed personal injury lawyers on Avvo, both in North Dakota and Texas, a former defense lawyer who has achieved Board Certification in Civil Appellate Law, and a lawyer who has 15 years of experience as a litigator for insurance companies. The team functions together in a manner that is rare and unique, and our case results reflect not only our personal commitment to our clients, but the legal skills we bring to the table. No matter where you are, we will come to you. Call our firm today to learn more.